Minister of Health Aaron Motsoaledi has often invoked the health risk posed by tobacco, and for good reason. It’s estimated that as much as 21 percent of South African teenagers currently smoke. “Our message is that cigarettes have no place in modern life. Big cigarette companies have never won any case. I am very confident that within my lifetime there will be no smoking in the world. We will defeat it,” said Motsoaledi. Motsoaledi has mentioned having plain packaging regulations across South African stores just like Australia and the United Kingdom. Reducing teen smoking is a goal we should all share. It’s a noble goal. But in the age of technological innovation which has spawned smoke-free vaporizers, and other alternatives, why would the South African government put all its eggs in the plain packaged basket? Does it work and could it work for young South Africans? Looking to Australia, South African health authorities would be remiss to find any claims of mass rejection of tobacco products. The evidence actually points in the other direction. Before plain packaging was introduced in late 2012, the smoking rates among 12-24 year olds were going down from 16 percent to 12 percent, according to the Cancer Institute of New South Wales. That is a good thing we can all celebrate. However, once plain cigarette packs hit the shelves in 2013, smoking rates for the same age group went back up to 16 percent. Does that mean that not doing anything would have actually caused less people to smoke? At least in Australia, it’s not certain. Such evidence may require the South African government to call an audible: plain packaging doesn’t work as it is claimed to, and something else must be done. 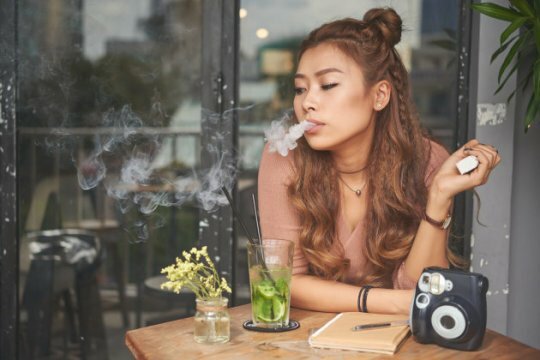 Across South Africa, thousands of mom and pop vape shops are popping up around urban centers, and there’s reason to think these devices could be more successful than legislation in getting smokers to quit. With such a body of evidence, it’s time the South African government heeds the warnings from both Australia and the United Kingdom. Plain packaging won’t reduce smoking, no matter how much the government tries. But market alternatives could achieve this without government intervention. Previous Article The World Health Organization Is A Mess: Will Trump Fix It?